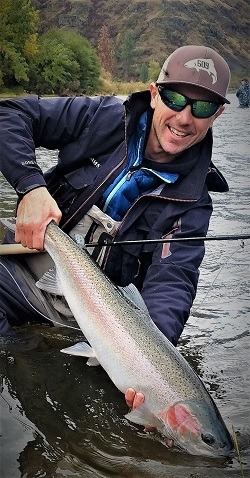 Joe Rotter from Red’s Fly Shop in the Yakima Canyon will be teaching various strategies for improving your fly fishing prowess on trout, bass, flats, and steelhead. From Trout Spey and Euro Nymphing to Giant Trevally, Joe Rotter loves sharing professional tricks of the trade, including specific fly patterns, to help you improve your catch rate and have more success on the water. His specialty is helping DIY anglers experience as many thrills as possible, and will offer a presentation that encourages discussion on a variety of topics.